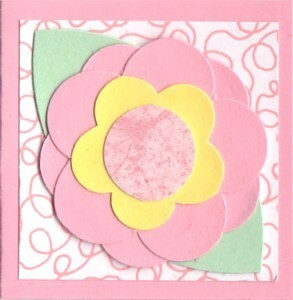 I used my Coluzzle Flowers and Leaves template to make this 2" x 2" gift card, but there are several punched or die-cut flowers that would also be suitable. This card went together very fast, so I made several of them in different colors. They are nice to have on hand for a quick attachment to a gift.